Real estate rental and sales prices continued to decline across much of the UAE last month as the fight for affordability persists, new data shows. Average residential sales prices in Dubai decreased by 7.7 per cent year-on-year in September, market analyst Reidin said in a report on Wednesday. Its Dubai Residential Property Sales Price Index, researched on a monthly basis, decreased by 2.1 points to 235.6 – a 0.8 per cent month-on-month drop. Villa sale prices registered the steepest declines of all types of residential property in Dubai in September. Prices decreased by 9 per cent year-on-year, while apartment sales prices declined by 7.3 per cent. Property prices across the UAE have fallen over the past few years amid a three-year oil price slump. Global oil prices have recovered to above $80 per barrel now, but rising supply and a maturing market offering a broader range of price points is keeping property values lower than before. Average rental values in Dubai declined by 9.8 per cent, and Reidin’s Dubai Residential Property Rental Price Index decreased by 0.6 points to 82.2, representing a monthly decline of 0.7 per cent. Apartment rental prices declined more steeply than for villas, at 9.9 per cent year-on-year compared to 7.9 per cent for villas. In Abu Dhabi, residential sales prices declined by 5.6 per cent year-on-year in September, according to Reidin. The Abu Dhabi Residential Property Sales Price Index fell by 0.6 points to 87.7, a 0.62 per cent decline. Average apartment sales prices fell by 6.4 per cent year-on-year, while villa sales prices declined by 3 per cent. For rentals, prices declined at a steeper 11.2 per cent on average in September, with apartment rental rates in Abu Dhabi falling by 11.7 per cent annually and villas by 9.9 per cent. Reidin’s Abu Dhabi Residential Property Rental Price Index decreased by 0.7 points month-on-month, to 81.7. 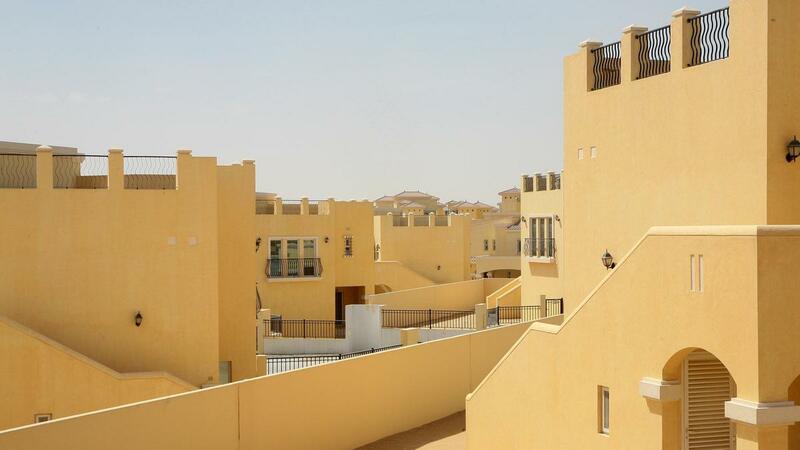 Real estate price declines were similar in the Northern Emirates, the report showed. Ajman apartment rents declined by 10.3 per cent year-on-year in September, 8.1 per cent in Ras Al Khaimah and 7 per cent in Sharjah. In RAK and Sharjah, there were marginal price increases of 0.02 per cent on a monthly basis.